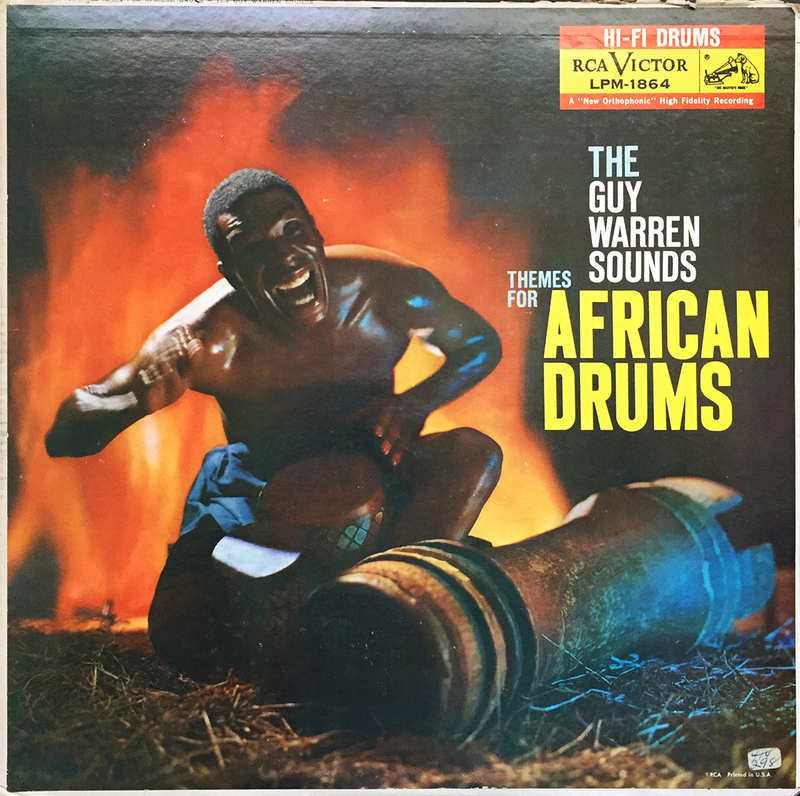 Themes for African Drums sounds exactly like one would imagine by one, the title, and two, the striking cover. So I’ll admit, it was in fact this forceful cover art coupled with year of release (1959) that prompted my immediate attention on money, but what I found was that the music within requires more than just a few modestly casual spins. Rhythm and horns, kids… rhythm and horns. The Guy Warren Sounds would release only one other record throughout their career, a French 7″ featuring two of this albums’ tracks, Waltzing Drums and Blood Brothers. Now, I can understandably see how this collection of 8 tracks could be considered a novelty, or theme record, but I speak from experience when I say, this makes for some damn good dinner music.